Put on your Sunday's best, cause you're going to be here a while. 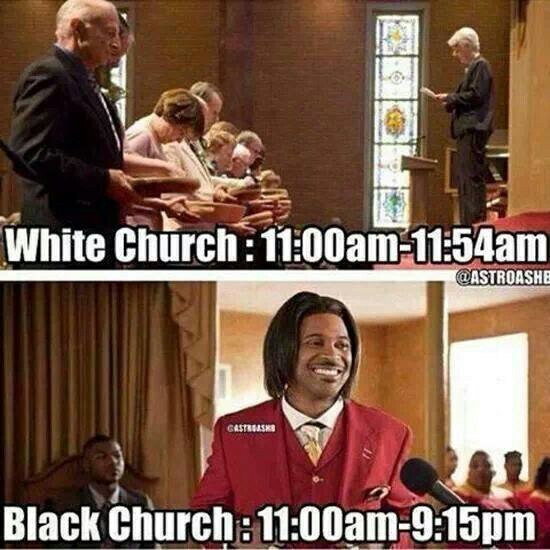 Being that I am a part of the black community, I have attended my fair share of black churches. I tend not to invite my friends because I figured I wouldn’t make them starve for four hours as I have. Most of the time, my family would wake up around seven o’clock to get ready for church that began at nine. First Sunday was always the worst because I knew that we would be there longer than usual. While I remained at one church for a good portion of my life, I did happen to notice quite a few similarities as I jumped between church homes. 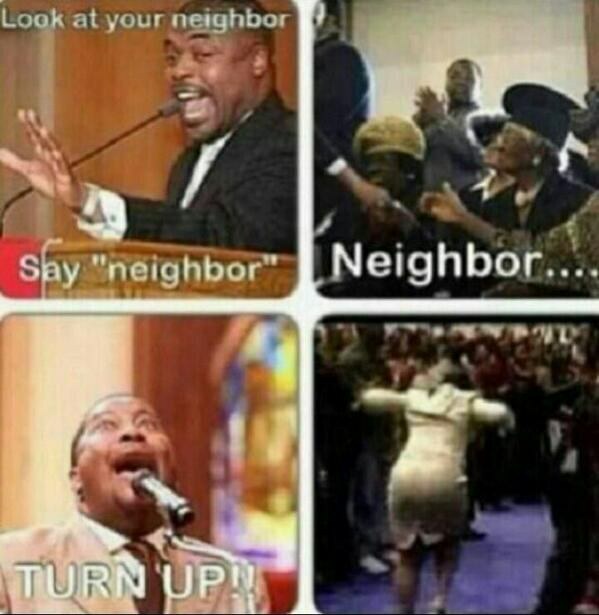 This is the typical course of events that validates the accusation that black churches are 75% entertainment. Forewarning, praise and worship will last half of the service. 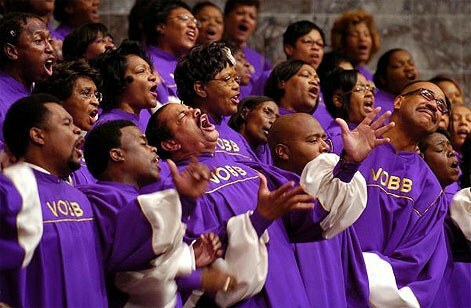 The choir director will conduct the purple and gold robed mass choir so hard that her wig might just fall off mid-song. Next, the praise dance will be led by the children’s church. This will not take long because little Johnny will forget the steps and two of the other little kids will be too shy to move. When the Pastor starts spitting, hollering, and acting as if he’s having an asthma attack.This usually means he has caught the Holy Spirit, is feeling good about his message, or the congregation is too quiet. Deacon Johnson will jump up from his seat, wave his hands and yell hallelujah.This is his best attempt at backing up the Pastor and stirring up the crowd; oops, I mean, congregation. 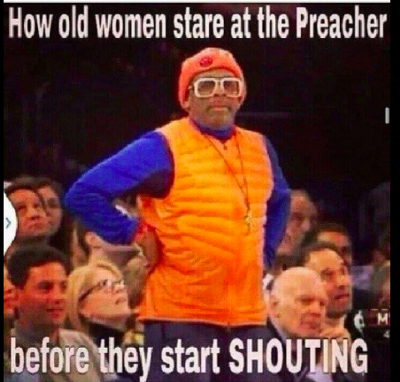 Aunt Bertha will then start doing her praise dance around the pews. She has now caught the Holy Ghost. Sister Mary Jenkins will begin yelling “preach it Pastor” after his every sentence. Ms. Felicia Jones will be in the back with her three kids and crying baby that she can’t seem to hear. And just when you think church is finally ending; offering will be called twice in between the four alter calls, thirty-minute-long announcements, and communion. But congratulations, you have lasted your entire First Sunday at Good Hope Missionary Baptist Church Pentecostal Tabernacle of Faith on the hill down the street Overlooking Zion House Assembly Full Gospel Missionary Baptist Bible Church! Please enjoy the reception in the dining hall consisting of spaghetti, fried chicken, green beans, red punch, and chocolate cake made by Sister Bernice. While I have made light of all the humorous things that occur in a common black church, this is not to say that they do not change people’s lives and are to be treasured. However, I have to ask, since when did God give us a schedule of the course of events to take place in service and how long it needs to be? The purpose of church is to fellowship with other believers and get refreshed from our hectic weekly schedules. But now it seems like we can’t leave the pews until we have caught the Holy Ghost. It seems as though we have made more time for theatrics than Christ. We seem to like being entertained by the word and the church, rather than receiving it. (All names from this article have been made up and are to merely reflect the characters that are found in the church. I apologize to anyone who takes offense to this, it is for humorous purposes only. I also apologize to anyone with the names in this article, I was not talking about you).